Desert Safari Dubai should be a must visit place in your Dubai tour itinerary. Especially, If you want to view another side of Dubai, Dubai Desert should be your priority. Located between Dubai & Sharjah border, this place gives real feelings of the desert. Tripadvisor includes this place in top ten attractions to see in Dubai list. 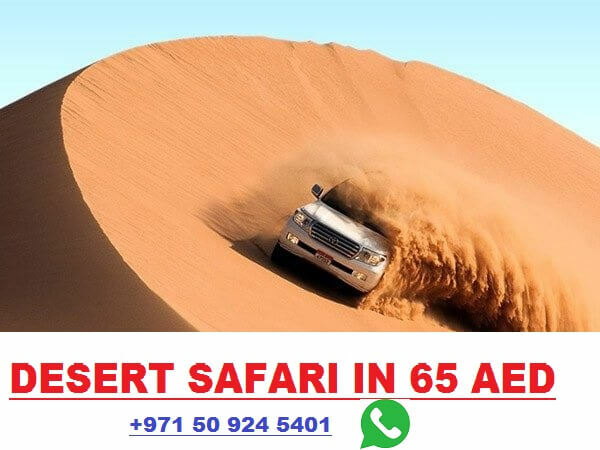 By Booking Dubai desert safari tour with a right and best desert safari Dubai tour operator, you will surely know some new things about UAE culture like Arabic food, belly dance, camel ride, Arabic shisha & Arabic tea, etc. Although, you can reach to Dubai desert yourself by a car. However, to go inside of the desert to perform dune bashing in 4×4, you have to book your desert safari Dubai trip from an authorized UAE based tour operator. If you are planning to rent a 4×4 from a car rental company to drive in the desert, then you should call off your plan right away. As per my knowledge, only certified drivers and specific vehicles ( Approved by Dubai tourism department) can go inside of the desert for dune bashing purpose. However, for the transportation purpose, you can use your own car. Booking a Dubai desert safari tour is very easy these days. There are many companies offer this tour. I secured my booking from a Discover Desert Safari Tourism LLC, and I highly recommend you to book through this desert safari tour operator. I enjoyed this tour much. I was very pleased with Discover Desert Safari Tourism LLC desert safari Dubai tour. These guys are not only offering Dune bashing in Lahbab desert (Only a few companies go there because it’s a premium desert and 30 minutes more driver require from the Al Awir desert (which is a primary desert of most of the other companies for Dune bashing)). I booked with them a few hours before tour departure time, and these guys arranged everything for me in a very short time. The driver picked me at 3:35 from my hotel and after around an hour drive, we reached in the desert at 5:00 PM I guess. Right after arriving in the desert, the driver gave dune bashing that Lasted for 30 minutes. Dune bashing was superb and an entirely a new thing for me. After that, we reached the highway, where driver again gave us 15 minutes dune bashing, but that was less enjoyable as compared to the first one. However, It was still good for me, and I was satisfied with it because as per their claim, it’s a bonus dune bashing for everyone. I always had a dream to take a dinner in the desert because I belong to a mountain area, and I never visited any desert before this tour. By getting this tour, I learned lots of things related to UAE culture. Personally, I liked Dubai safari tour more than any other Dubai tours because of the below-mentioned reasons. 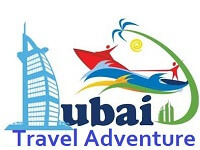 Depending on tour operator and tour type it cost could be 65 AED to 250 AED on regular days. I was a single person, and I booked in July, So I paid 125 AED with pick up from my given location by a 4×4 car. Typically, With a 4×4 car, most reliable tour operators charge no less than 125 AED unless you are more than four person’s and with pick up from their giving points by a bus, it cost could be 60- 75 AED. However, I’ll not recommend you to go with the bus service because as per my research most of the companies offer less than 10 minutes dune bashing with this option. If you want to enjoy Dubai safari tour properly, you should book with a 4×4 car, and if you can afford, you can book quad biking at an extra cost (price starting 125-150 for 20 minutes driving) which gives you a chance to drive quad bike by yourself in the desert. Pro tips: If you are at least six persons, I’d suggest book a private car from the tour operator. If you have a friend in Dubai, who has a car, directly go with him to desert point and ask tour operator pick and drop you at that location. You can save a few bucks with these tips. Depending on your tour operator, evening safari Dubai tour has a lot of things to offer. Let me explain them as per my own experience. Most important and most demanding activity of this tour. You will NEVER forget it. Make sure your tour operator offers this for at least 25 minutes in the middle of the desert. SandBoarding is a good alternative to Snowboarding. You will get equipment to perform this activity. There are no limits to perform this activity just take your gear and perform it as long as you want. I’m not a selfie person, but sometimes I take it seriously. With evening desert safari tour, you have a chance to capture your moments by taking a selfie during sunset. Falcon is a National bird of UAE. It is another thing that can make your safari tour unforgettable. What it cost is only 10 Dirham ($3), and you can take a selfie in different ways. Have your dreams to drive something yourself in the Arabian desert. Quad biking allows you to achieve your goal with a small budget. By paying an extra 125 Dirham ($35), you get an opportunity to drive three wheels 100 CC quad bike for 20 minutes. I’d differently suggest you book quad biking with your safari tour. Let me answers some most asked questions about this tour. I’ve seen a lot of people’s asking this question, and I did myself before booking with my tour operator. There is no particular dress code for this trip. You can wear just a usual dress. However, during in winter, I’d suggest you to a carry jacket because the temperature in desert goes down in nights. Another thing is you should wear shoes during this trip instead of sandals. On an average, the temperature in Dubai extremely hot between May to August. September to April is the best time to desert safari Dubai because the temperature is quite well in Dubai. Unfortunately, this tour is not suggested for disabled peoples unless your tour operator has the wheelchair facility. You can also customize your tour before your booking. If you are pregnant, have a newborn baby under 3 years and 65+ old then should SKIP DUNE BASHING & CAMEL RIDING. As I said earlier, this is a must to do activity in Dubai. So if you are planning to visit UAE, make sure you Do not miss it. Disclaimer: This is NOT a sponsored post by any means. I’ve nothing to do with the operator and I paid the full money.